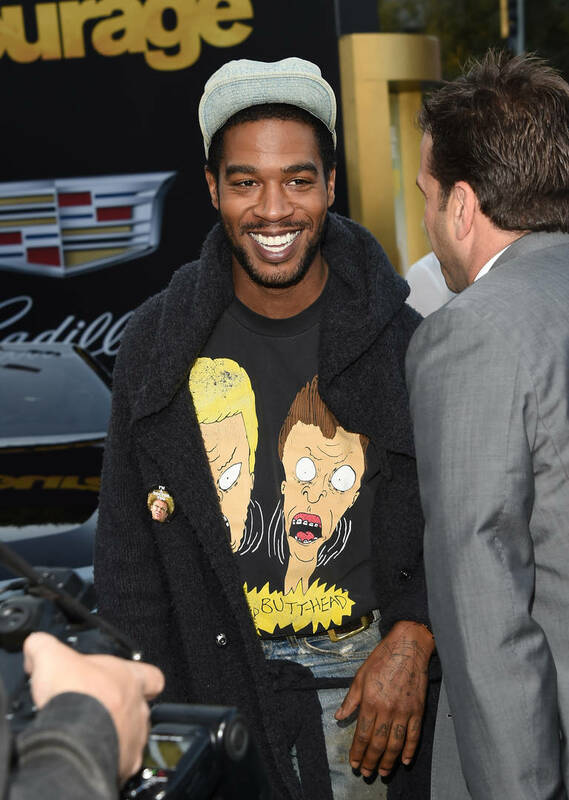 Home>Music> Kid Cudi Joins Cast Of Opioid Crisis Film "Dreamland"
Kid Cudi joins Indira Varma (Game of Thrones), Gary Oldman, Armie Hammer, Evangeline Lilly, and more for "Dreamland" cast. Kid Cudi fans are still anticipating the release of the rapper's next studio album. The artist teased some new music in February but he hasn't revealed any sort of release date for when we could expect a new project. However, while he's still working on his new album, he also secured a role in the upcoming film, Dreamland. Deadline reports Kid Cudi has joined the cast of the upcoming film, Dreamland which explores the current opioid crisis which has hit North America heavily in recent tears. Along with Game Of Thrones' Indira Varma and Avatar star Sam Worthington, Cudi joins a solid cast that includes Gary Oldman, Armie Hammer, Evangeline Lilly, Greg Kinnear, Michelle Rodriguez, and Lily-Rose Depp. The film is being directed by Nicholas Jarecki who previously directed the 2012 film, Arbitrage. Kid Cudi will take on the role of an FDA investigator who's deeply researching into prescription safety. Dreamland, which is currently filming in Montreal, follows three stories which collide into each other. Hammer takes on the role of a drug trafficker who's plotting a multi-cartel Fentanyl smuggling operation between Canada and the states. Lilly will portray a recovering Oxy addict who tried to track down the truth behind her son's involvement in the drug game. Oldman has been cast as a university professor who finds out the drug company he works for is deeply influenced by the government and is introducing a "non-addictive" painkiller. MUSIC Kid Cudi Joins Cast Of Opioid Crisis Film "Dreamland"